aids this local parish in helping individuals to serve God with the gifts he has given them in music. We value this ministry because Colossians 3:16 shows us it is a ministry of God’s Word, to build up his church. -because music plays a critical roll within God’s church, helping us let the Word of Christ dwell in us richly. -because music ministry here is encouraged, developed and grown to help God’s people ‘Rejoice in the Lord’ and be filled with ‘an inexpressible and glorious joy (1 Peter 1:8)’. -because music is such an important part of today's society. To reach this nation with the gospel, the music of the local church needs not to be a stumbling block to hearing the good news of Jesus, but rather a tool. Enrollment into the parish chorus is now closed for the remainder of the season. Please fill out the form the below and submit as we prepare for season 2019-2020 and we will set you up with preparatory materials. In the last chorus you sang in which vocal part. Rasaan Bourke was born in the Eastchester section of The Bronx on May 27, 1982. Rasaan was raised in Mount Vernon, NY, in a Catholic home, with his family of music lovers (Jazz, in particular). His mother, the late Carol Bourke, played violin in her youth. His father, the late Frank Bourke, played Drums, Flute, and Dbl Bass. Rasaan is one of four children; Bernard, Corinne and Terrance. While studying at the Westminster Choir College, Rasaan encouraged a magnificent passion and career in music making. Rasaan currently serves on the Executive Board of the Brooklyn Chapter of The American Guild of Organists. In 2007, Rasaan was appointed assistant conductor of the New York City Master Chorale, and also prepared and executed five successful seasons alongside Dr. Thea Kano, the chorale's artistic director. In 2013, Rasaan founded The Renaissance Chamber Collaborative, LLC (RCCnyc). Over three successful seasons, the RCCnyc engaged urban communities from across the NY/NJ/CT tri-state area in fine music, art, and dance performances. 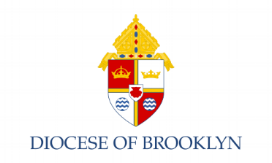 Rasaan is grateful for the opportunity he now has serving as Director of Music Ministries and Principal Organist here at Saint Martin De Porres Parish in Brooklyn, NY. Here he manages the regular maintenance and upkeep of the parishes three Pipe Organs, and director of the parish choirs. Joseph P. Murray is honored to be working at St. Martin de Porres Parish as Associate Music Director. Mr. Murray holds his degree in Vocal Performance from the Catholic University of America. Notable roles include Tolomeo in Handel's 'Giulio Cesare' (CUA) as a Counter-Tenor, Mozart's 'Die Zauberflöte' (2nd Spirit, Summer Opera, Washington, DC), and Offenbach's 'Orpheus in The Underworld' (Mercury [Understudy], Bronx Opera, NY). Joseph has served as MD and AMD for various productions, including the National Black Theatre's world premiere of'A Time to Love,' a critically acclaimed original theatre piece featuring the music of Stevie Wonder, written by Sade Lythcott, executive director and daughter of NBT founder Dr. Barbara Ann Teer. Writing/Production collaborations include Teron Beal (singer/songwriter: Jennifer Lopez, Bonnie Raitt, Michael Jackson) and NAACP Award Winner Chester Gregory (currently touring in Motown: The Musical). Mr. Murray continues to work as a cantor/keyboardist throughout the Dioceses of Brooklyn & New York, as well as release original music as an indie artist in NYC. As a parish with three worship sites we are blessed to be in a position to open our doors to local artists and groups who are giving back to the community and seeking performance venues and rehearsal space. Please contact the Collaborative Music Ministry office at 646-527-8481 for further information.